FAYETTEVILLE, TN—The Southern All Star Dirt Racing Series presented by MaxFab has started working on the 2019 schedule and Tom Lowery of Southern Raceway in Milton, FL., was the first returning track promoter to renew his current dates as well as add new dates for 2019. The next promoter to do so is Lynn Phillips at the Talladega Short Track in Eastaboga, AL., as he has confirmed all three dates for the series to return in 2019. Saturday night April 27th will be the first NASCAR weekend event paying $4,000 to win then on Saturday night August 10th the 2nd Annual Governors Cup will be held paying $10,000 to win and the third and final race for the series will be on Saturday night October 12th the second NASCAR weekend the B J Parker Memorial paying $4,200 to win. 2017 Southern All Star Champion Austin Horton of Newnan, GA., scored the win in April this past year as well as Michael Page of Douglasville, GA., taking the Governors Cup title with the fall race still remaining to be run October 13th.at the Talladega Short Track. 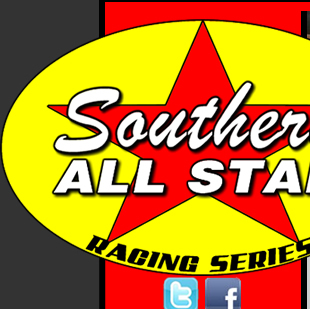 There will be over $72,000 in purse money over the three Southern All Star races at the track next year and with the tremendous success of the Governors Cup it should be a another solid year for the Southern All Stars at Talladega Short Track in 2019. There are now seven races officially booked for the 2019 season if you would like more information on scheduling a Southern All Star event in 2019 contact Lynn Acklin at 256-924-4546 or Dewayne Keith at 678-633-4718 for more information.